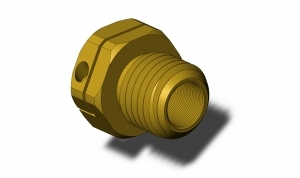 Product designed to work with our 1/4-80 screw products. Clamping action on screw causes no rotation of the screw. Internal thread 1/4-80. External thread 1/2-20 Insert length 3/8" Overall length 5/8"